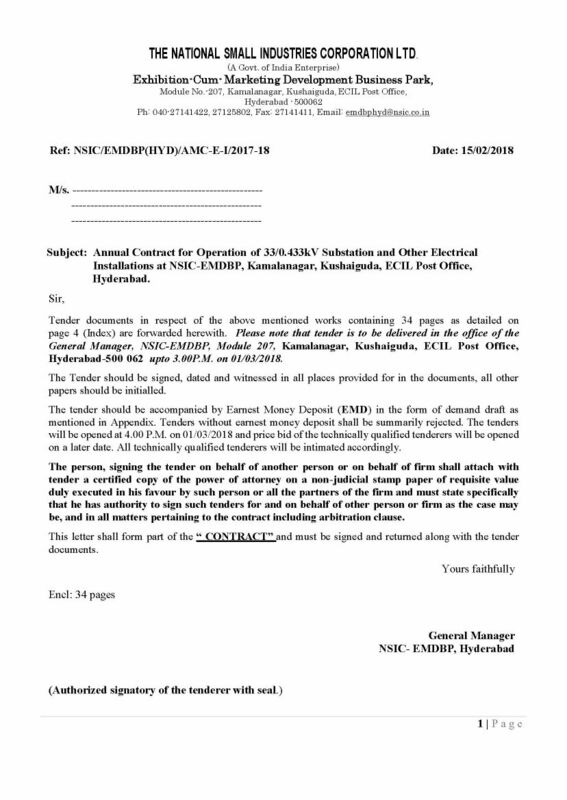 My father is searching for latest tenders published by National Small Scale Industries Corporation for Hyderabad. So do you know from where he can get information about latest tenders published by National Small Scale Industries Corporation for Hyderabad? The National Small Scale Industries Corporation has released a tender for Hyderabad. 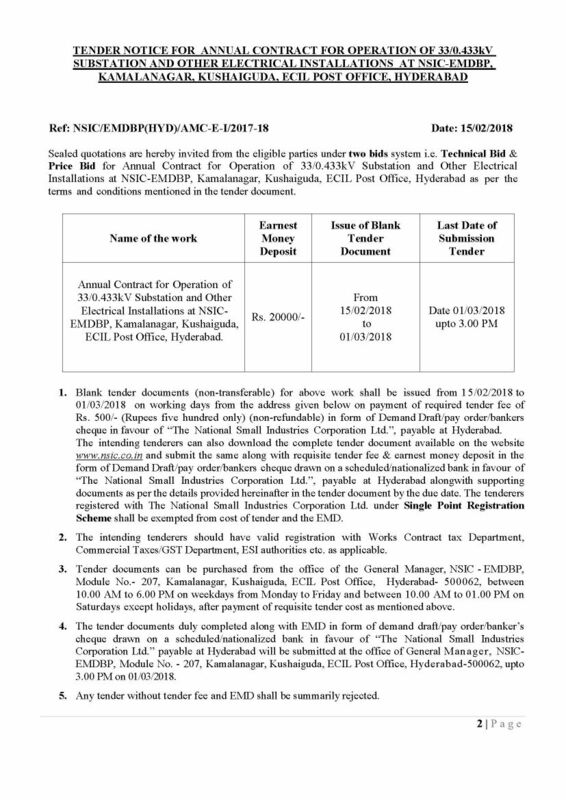 NSIC/EMDBP(HYD)/AMC-E-I/2017-18, Annual Contract for Operation of 33/0.433kV Substation and Other Electrical Installations at NSIC-EMDBP, Kamalanagar, Kushaiguda, ECIL Post Office, Hyderabad. Annual Contract for Operation of 33/0.433kV Substation and Other Electrical Installations at NSICEMDBP, Kamalanagar, Kushaiguda, ECIL Post Office, Hyderabad. 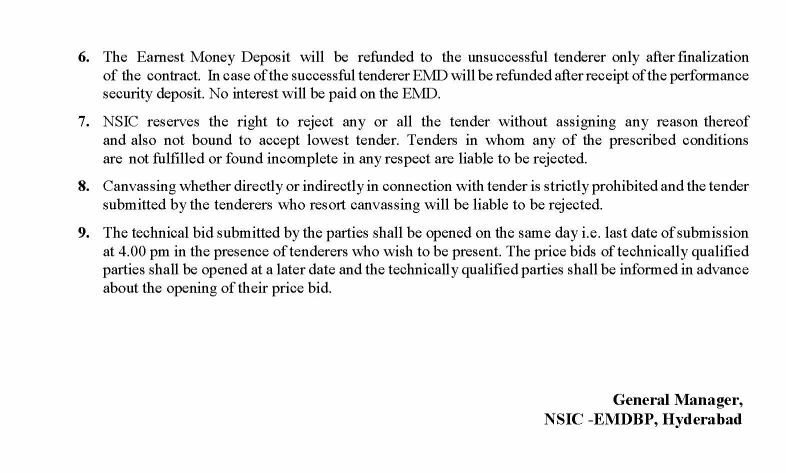 Any tender without tender fee and EMD shall be summarily rejected. During the last three years.